The November Gallery is up over at Write.Click.Scrapbook.! 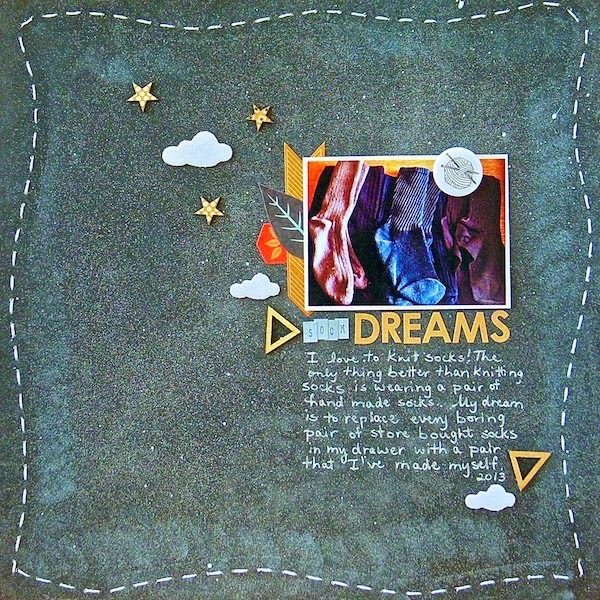 The theme for this month is Dreams. My layout is not only a dream, but a goal. 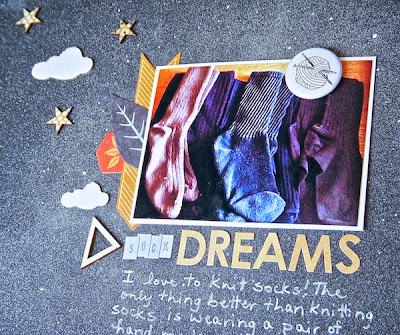 Journaling reads: I love to knit socks! The only thing better than knitting socks is wearing a pair of hand made socks. My dream is to replace every boring pair of store bought socks in my drawer with a pair that I've made myself. Here's my first pair towards accomplishing that goal. I'm wearing them right now and they feel so good! The next pair might be something for my husband, but then it's back to my dream. You can see what the rest of the team dreams about here. You'll find plenty of inspiration for photos, journaling and design. There's still time to create a page about your dreams before the holiday season kicks into high gear! What a fun layout and dream! Your socks look amazing. your socks looks so warm and comfy! love your goal!!! Such a fun page and dream, Sue! Good luck with your goal. The socks you made look so pretty and cozy. Wow am impressed with your knitting skills. Loved the layout, so cute and fun idea. Such a fun design, Sue! I keep saying I am going to learn to quilt. Fun page! I bet handmade socks are so comfy-cosy! Wish I could knit! I have to agree!! I just finshed my first pair of socks. Although they have a few mistakes, I love wearing them!!! TFS!!! Fun layout! Great goal to record. 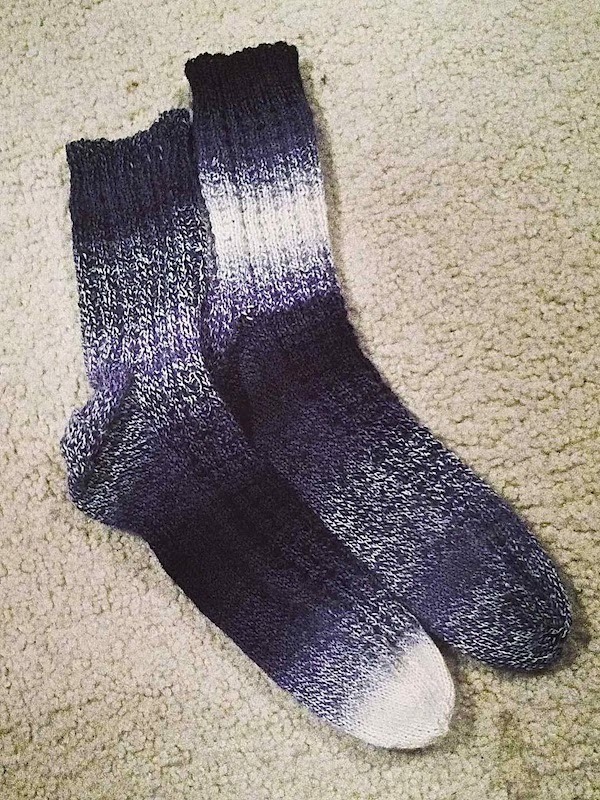 Awesome job knitting the socks, and awesome job on your layout! Nice layout ! Right now, I have my feet so COLD (it's the night here in France) that I am dreaming of your beautiful socks, lol ! I don't know which impresses me more -- your beautiful layout or your ability to knit socks! Love them both! Cool layout - I love to knit and crochet, but I've never made socks. Do you do the two-at-a-method? I think that's the only way I would stick with it!